Redefining the limits of age. 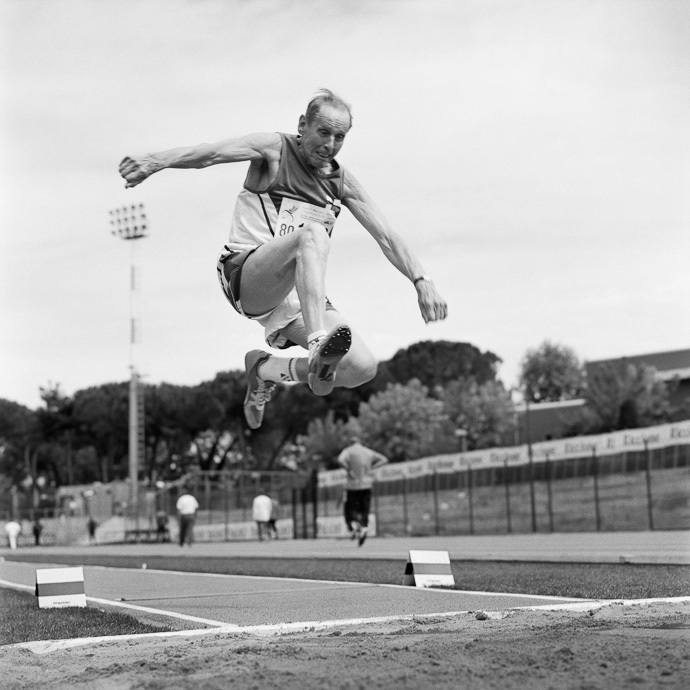 Racing Age is a traveling photography exhibition of images of masters track & field athletes from the book by photographer Angela Jimenez. The Racing Age exhibit makes positive, anti-stereotypical imagery of elders accessible to the public. The exhibition is accompanied by community engagement workshops designed to engage each local community in creative dialogue about aging issues. In 2018-2019, Racing Age will tour senior centers in Minnesota through an Art Tour grant from the Minnesota State Arts Board. The Racing Age exhibit & workshops are a non-profit fiscally sponsored project of Springboard for the Arts. Contact us to bring Racing Age to your community.